Northern Ireland Screen is delighted to announce it is partnering with Creative Skillset to deliver the Stepping Up scheme for high-end TV in Northern Ireland. The Stepping Up scheme, which is supported by Creative Skillset’s HETV Levy, is aimed at crew with at least two years’ experience in their current role and who have been identified as ready to move up to the next grade on productions. 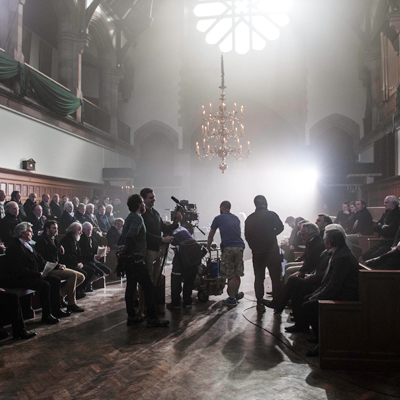 Those selected to be stepped up will work on high-end TV productions in Northern Ireland and will be supported by Northern Ireland Screen with their career progression through an individual training plan, including access to the Northern Ireland Screen’s skills bursary to complete relevant training. Crew working on ITV Encore’s drama The Frankenstein Chronicles, which is currently in production in Northern Ireland, will be the first to benefit from the scheme. A Trainee Editor has been stepped up to Assistant Editor at Yellow Moon in Northern Ireland where post-production for the show is carried out.